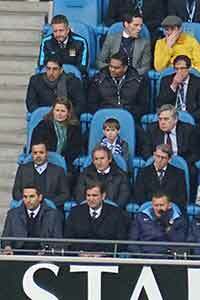 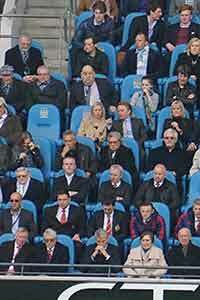 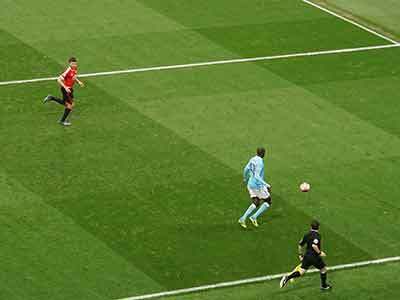 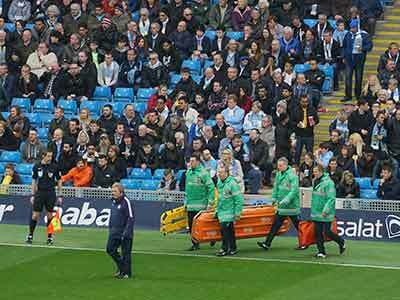 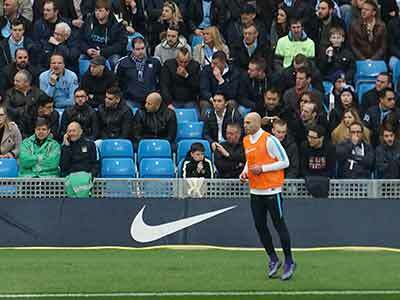 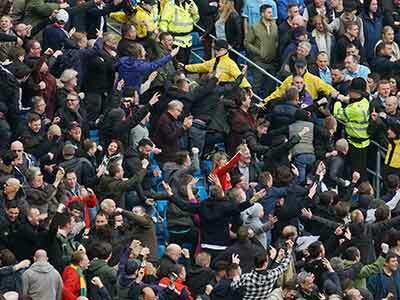 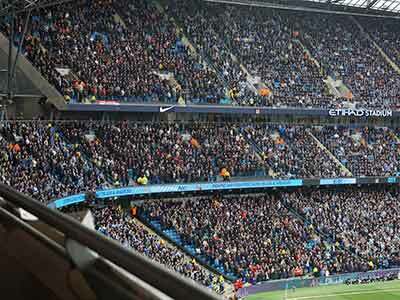 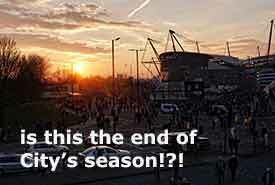 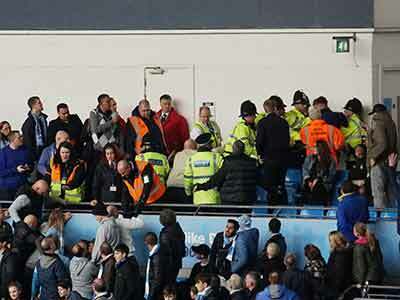 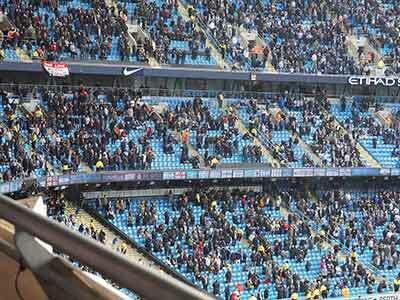 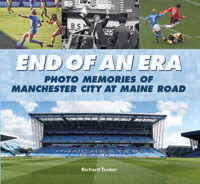 It was disaster day at the Etihad as City failed to score for the third game in succession. 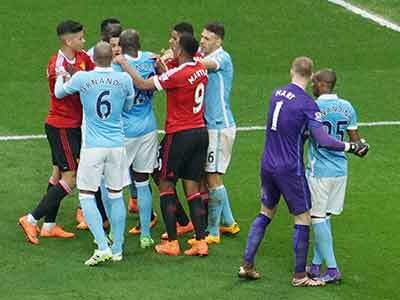 To be beaten by an average United side is bad enough but injuries to Hart and Sterling made matters a lot worse. 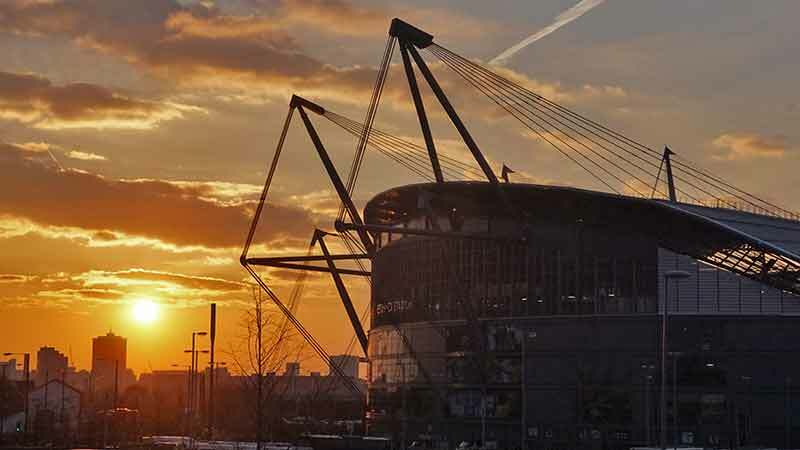 Winning the league is now out of the question and even qualification for the Champions League next season will need a major rethink by players and management. 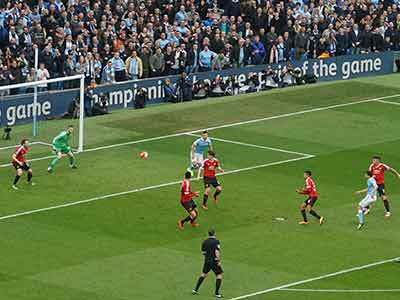 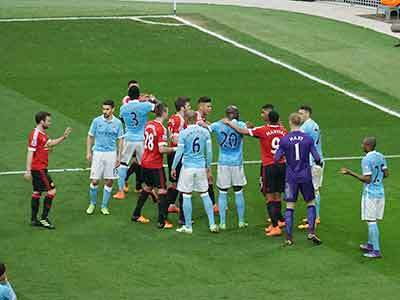 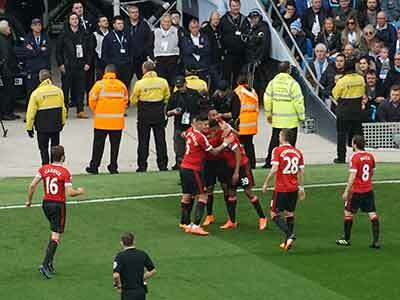 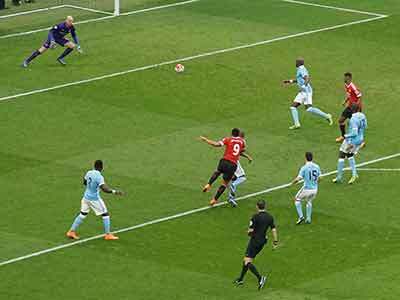 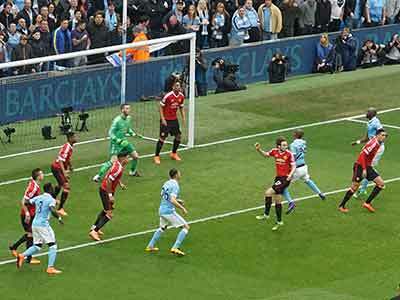 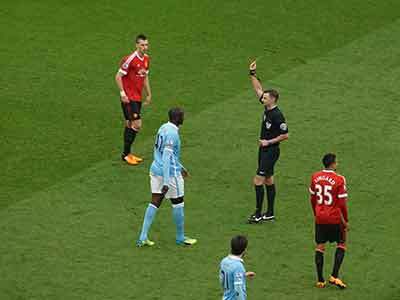 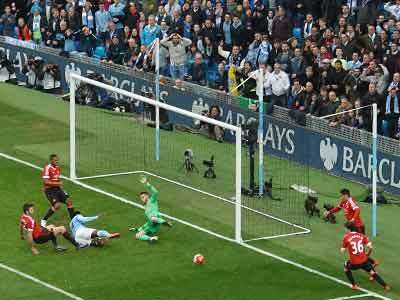 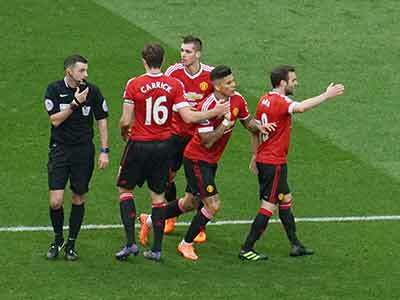 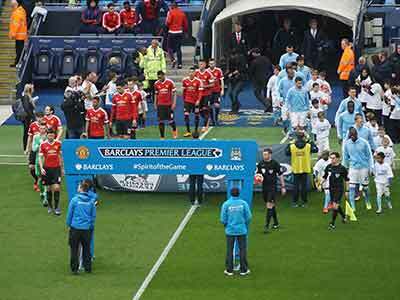 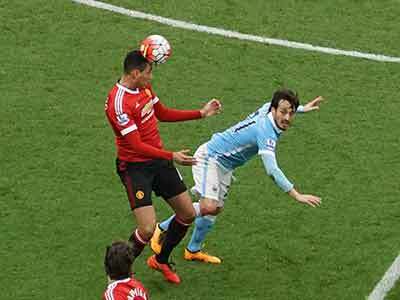 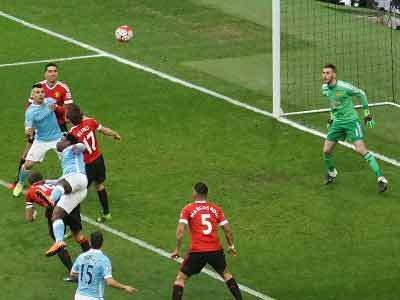 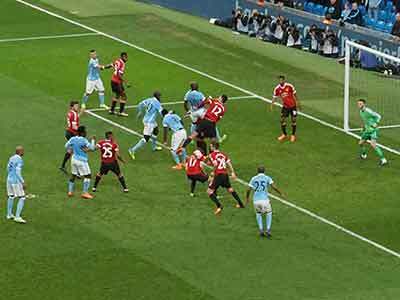 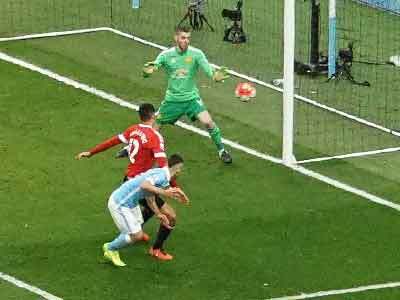 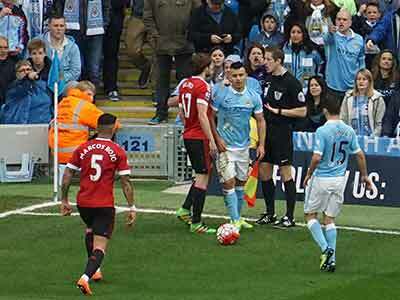 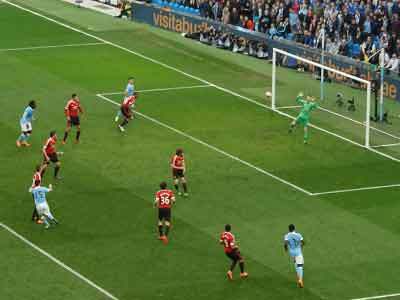 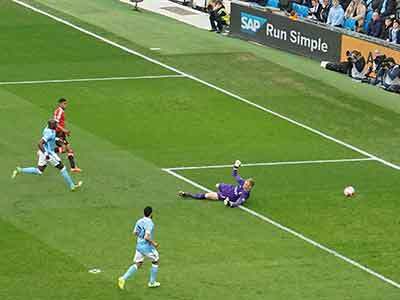 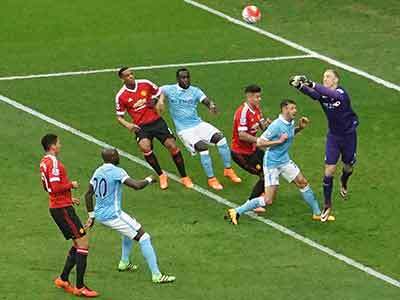 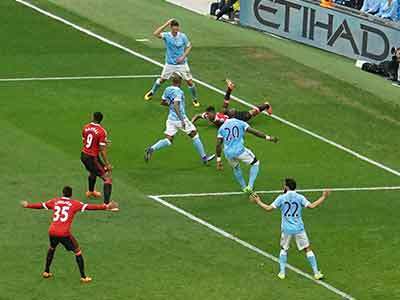 Despite City having the edge in possession their umpteen efforts on goal rarely caused De Gea much concern. 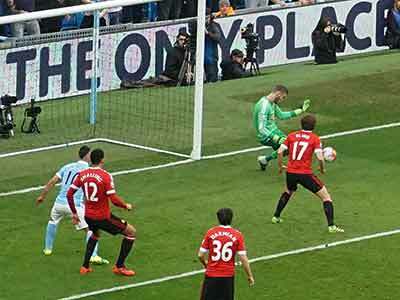 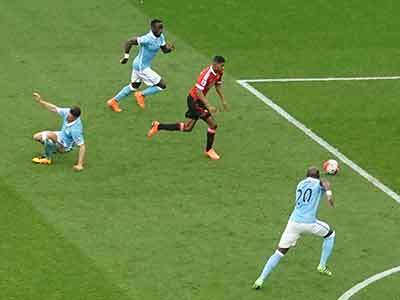 The absence of Kompany and Otamendi left us with Demichelis and Mangala and I am afraid Demichelis had an awful game. 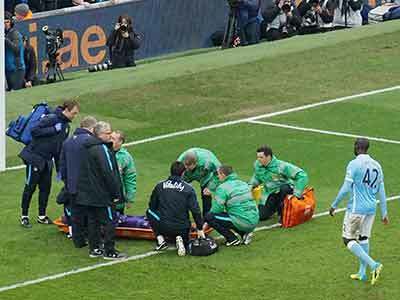 His failure to stop Rashford for United's goal and a terrible back pass to Hart which led to Joe having to be stretched off with an injury did not inspire confidence. 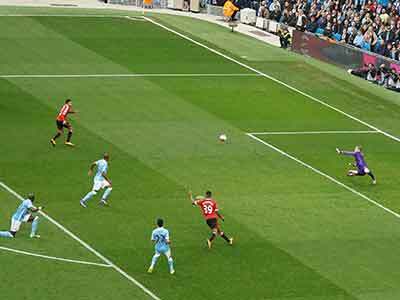 An Aguero header which hit the post was the nearest City got to a goal and bringing on Bony rather than Iheanacho was a decision the City fans did not want. 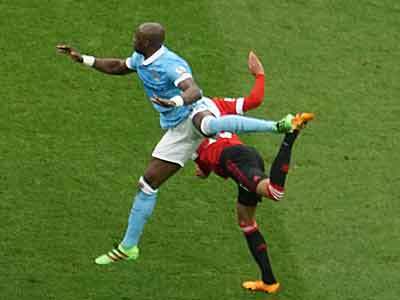 Both Silva and Toure failed to play at their best and Navas rushed around a lot but rarely put in a good cross. 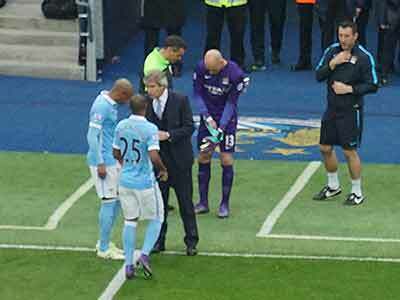 Fernandinho ended up playing in defence when Demichelis was subbed so it was a slightly disorganized midfield. 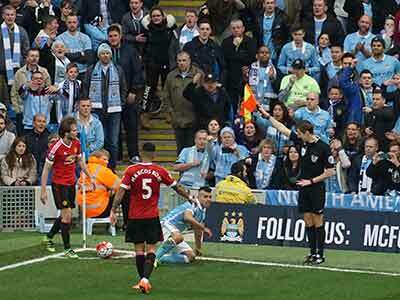 Aguero went close a couple of times but I don't think he is getting the support he needs. 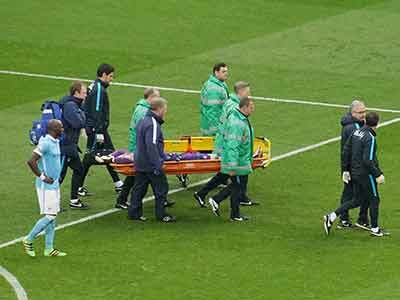 I just hope Kevin will be fit soon. 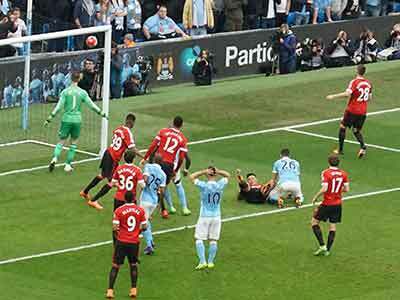 Since De Bruyne was injured we have rarely played well. 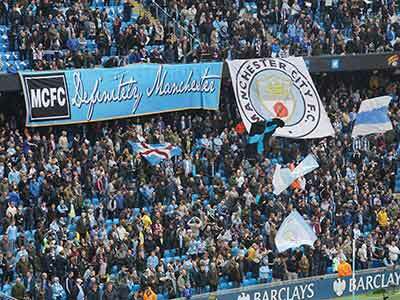 There were lots of spaces in the United section at the start no doubt due to all their fans from London being held up by the M6 closure near Stafford! 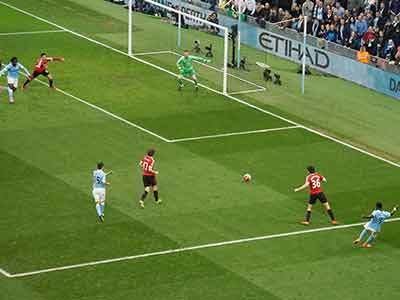 Toure slips as he breaks through but manages to get the ball to Silva and eventually Navas gets in a shot but De Gea saves with his feet - I think that was the only save he had to make! 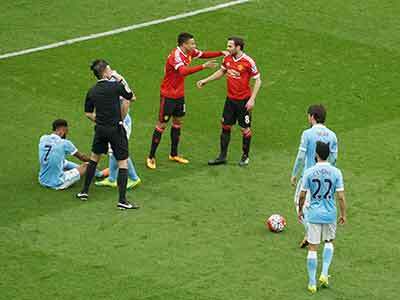 Mata is thanked for putting Sterling out of the game! 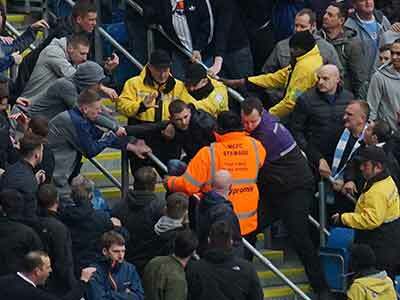 He comes out -unharmed I think! 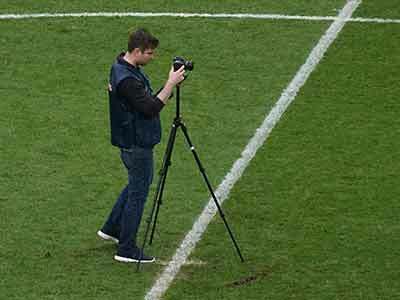 In the end the local CSI have to come out and record the scene at half time! 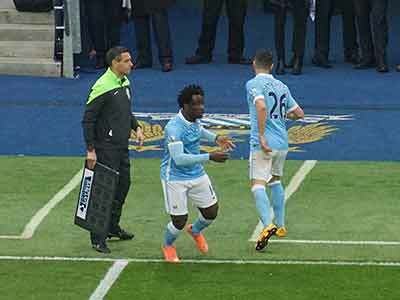 ... and yes you guessed it - Bony fails to net!